If you drink alcohol under age or smoke marijuana in your room at Tech, you are unlikely to be arrested, according to our analysis of the Georgia Tech Police Department (GTPD) crime logs from the beginning of the fall semester until the end of March. Of the 67 cases related to alcohol (not related to driving), two were arrested, only one of whom was a student. This case also involved criminal trespass. Of the 25 marijuana-related cases, 13 involved an arrest. Of these, only one was related to students for possession and unrelated to a vehicle. In this case, the students were found on a roof and fled when GTPD arrived on the scene. In one of the reports, GTPD case number 15010146, the involved student was not afraid of getting caught. According to Chief Robert Connolly with GTPD, in minor possession cases of marijuana (less than one ounce), they would not arrest students, but instead issue them a Student Code of Conduct and send them to the judicial process. Connolly stated that a similar policy is in place for underage possession of alcohol. “Our education program, we feel, is more effective even than sending you down to the city which will only get a diversion case anyway,” Connolly said. 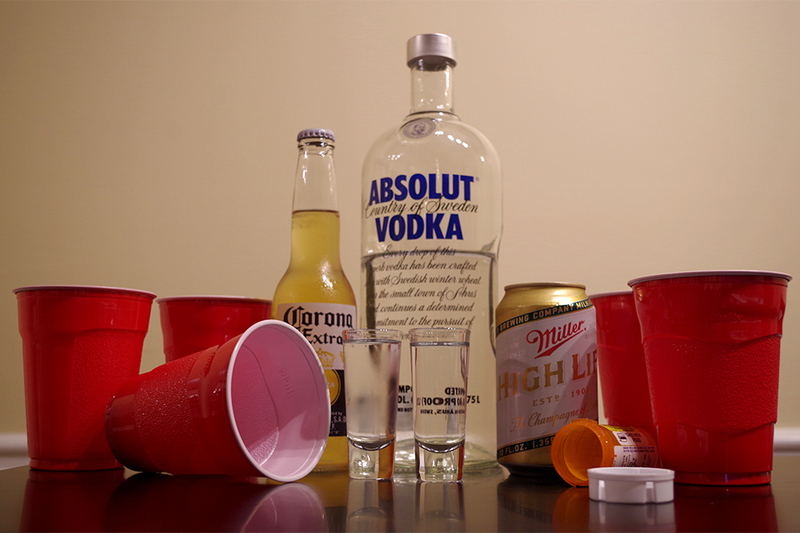 According to John Stein, Interim Vice President for Student Affairs and Dean of Students, most first-time offenders for alcohol and marijuana get either probation or a warning. If a student is a repeat offender, the charges may get more serious, possibly including suspension. One major goal of taking students through the school’s process is what Stein calls the “care component.” Students have to take a drug or alcohol diversion course and see a counselor to see what help the student might need.